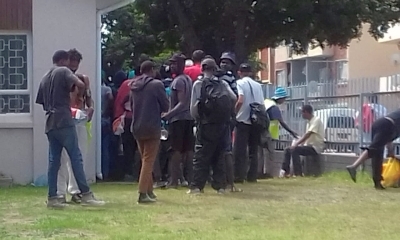 Salvation Army dignity feeding scheme in Clyde Street Central, PE. A new Port Elizabeth inter-church, collaborative group called City of Compassion has launched a drive to collect blankets, winter woollies and Bibles for poor, homeless and unemployed people in the city. Group visionary, Patricia van Niekerk of the Salvation Army, Central, said she believes the Holy Spirit gave her the idea to start the group for compassionate Christians to pray for, encourage and learn from one another, and reach more needy people by assisting each other rather than duplicating ministries. She said she has big future dreams for the group to raise funds to establish a shelter for women and children which would also offer literacy and numeracy courses, a range of career skills training, and Bible studies. “We are small now but with God’s help we will grow,” she said. Jenny’s Soup Kitchen in Malabar Extension 6, PE. The group’s first project — the blankets, woollies and Bible drive — will run until May 31 and donors can drop off items at Kingfisher FM, Fountain Vineyard Christian Centre, Harvest Christian Church resource library and the Salvation Army. For more information about supporting the project, joining the City of Compassion group, getting involved as prayer warriors, or volunteering to be part of evangelical outreach teams which will distribute the collected items from early June, please contact Patricia at 083 440 0253. She said the outreach teams will not only hand out winter woollies, blankets and Bibles to needy people but they will minister to them with prayer, testimonies and song. “This hopefully will become an annual outreach that will be duplicated around the city, so that revival may begin with perhaps the most unlikely candidates in human eyes, though not in God’s eyes! I believe that the poor are far more spiritual than we think because we judge so much on appearances,” she said. She said she hoped the envisaged annual winter drive and outreaches would expand to cover a wider area as more ministry groups, schools and students came on board. 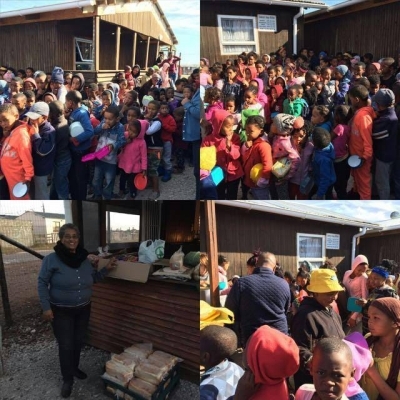 The City of Compassion group members, who come from churches and caring ministries scattered across the Nelson Mandela Bay metropole, aim to meet at least every six to eight weeks. They meet at different venues — especially at places where there are active ministry projects from which they can learn.